KITsubs: Kamen Rider Stronger episode 33! Another awesome episode featuring Delza leaders and their backstabbing motivations. One factor that really makes Stronger stand out as a classic. 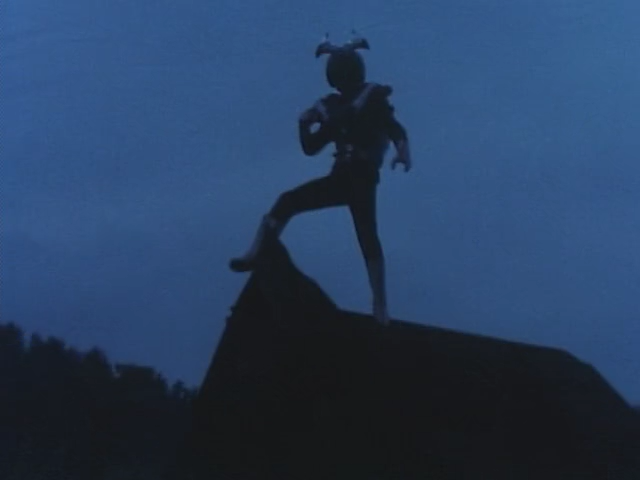 Another great aspect of this episode is the night fight at the end. The contrasting visuals of Stronger's chrome power up accents against the dark backdrop is just another example of the visually striking direction of these older tokusatsu shows. We're getting closer to the end! We should actually be finished with Stronger soon. After we release the last episode, we'll go back and put some polish on episodes 2-20 and release batch torrents. And come back in a few days for Akumaizer-3 05. Nice info and i like your post brother or sister ! !